2013 was a year full of activity and increasing visibility for the Madison startup scene. Capital Entrepreneurs membership grew 50% in 2013 and now encompasses nearly 300 members – all of which are founders or early stage employees of Madison area startups. Capital Entrepreneurs member companies now employ over 350 full time people and created over 100 full time jobs last year. In 2013, Madison tech startups (digital and health IT) raised $44 million in funding. This was lead by Networked Insights ($9.4M) and StudyBlue ($9M), with other companies raising rounds on average of $960k. Madison was ranked as a top 20 area for venture capital investment per capita, and over $150 million in new capital was committed to Wisconsin based venture funds last year. Capital Entrepreneurs member companies had revenues of over $28 million in 2013, and these companies continue to have an increasing impact on the broader Madison community. These companies have also contributed to establishing Madisonâ€™s place as one of the top cities in the nation for high tech jobs and tech job growth. There was a flurry of activity and events in the entrepreneurial community in 2013. The annual Forward Technology Festival continued to grow, and with 2,200 participants has emerged as the showcase event for the Madison tech and entrepreneurship scene. 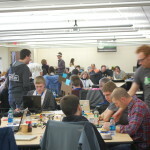 Capital Entrepreneurs also organized the 4th Build Madison â€œcommunity create-a-thonâ€, the 2nd Startup Weekend, and the inaugural Madison Startup Fair which connected students to startups on the University of Wisconsin campus. 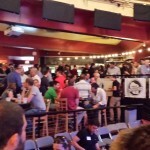 Capital Entrepreneurs partnered with Accelerate Madison to host â€œWisconsin Startup Night: TechStars in Madisonâ€ which was headlined by Sam Yagan (co-founder of OkCupid and CEO of match.com) and attracted an audience of nearly 500 people. Capital Entrepreneurs partnered with Startup Milwaukee for the first in a series of events designed to bridge the Madison, Milwaukee, and broader Wisconsin entrepreneurial communities. Capital Entrepreneurs also partnered with gener8tor and the Milwaukee Journal Sentinel for OnRamp, which increased connections between Wisconsin startups and established corporations. There were also a number of other great events in the broader Madison tech and creative scene including CityCamp, 3 Day Startup, TEDx, Ignite Madison, FoodCamp, Design Like Mad, Artup Weekend, and MakeMusicMadison. The Early Stage Symposium even brought TechStars co-founder Brad Feld (digitally) to Madison. There was also a lot of activity and growth around â€œspaces for entrepreneursâ€ in 2013. Capital Entrepreneurs celebrated existing spaces expanding, and new spaces opening. Horizon Coworking moved to a new and larger location on the Capitol Square, and the hackerspace Sector67 doubled in size. 100state opened its doors downtown, and Madworks Coworking opened at University Research Park. Capital Entrepreneurs announced StartingBlock Madison, which is a startup hub project in the works that will provide Madison-based startups with affordable, flexible office and co-working space, accelerator support, peer and mentoring resources, education and training, and community building activities. 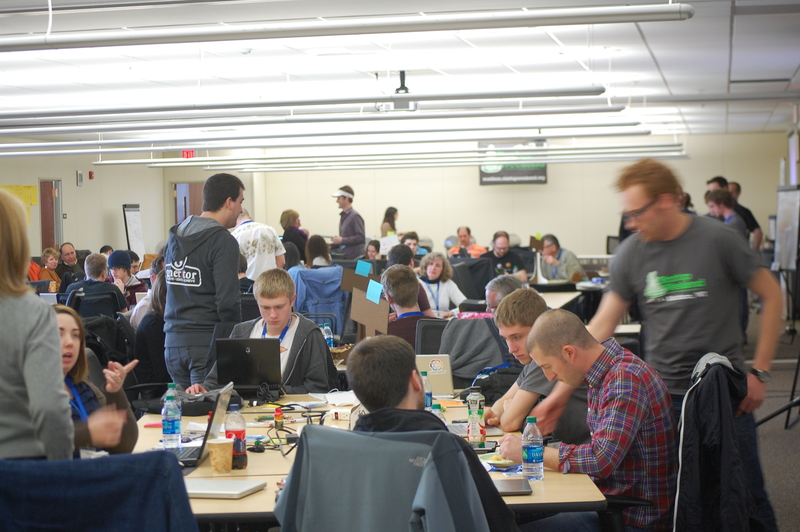 Startup accelerators continued to play an important role in the Madison startup community. Drifty graduated from TechStars Cloud in San Antonio and SnowShoe graduated from TechStars Boulder. Subsidence graduated from the Bolt accelerator in Boston, and Moxe Health graduated from the Rock Health incubator in San Francisco. Madison and Milwaukee based gener8tor also graduated strong Winter and Summer accelerator classes. 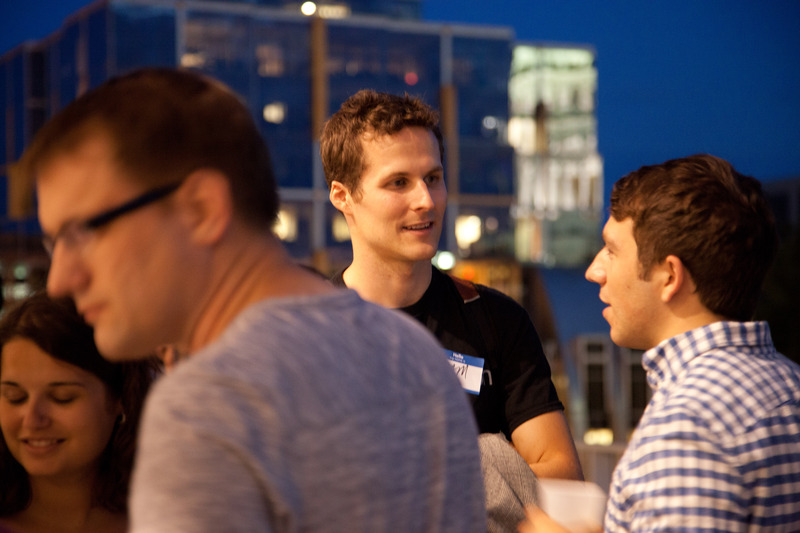 The Madison startup scene saw more visibility throughout the broader community in 2013. 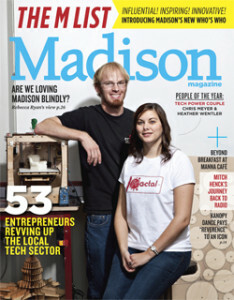 Madison Magazine prominently featured the burgeoning tech and startup scene in their inaugural â€œM Listâ€ issue, which recognized fifty-three entrepreneurs and technologists whoâ€™ve launched or grown businesses in 2013 as the new â€œwhoâ€™s whoâ€ of Madison (nearly all of which are involved in Capital Entrepreneurs). The annual Greater Madison Chamber of Commerce dinner was attended by 1,000 business leaders and focused on entrepreneurship and establishing Madison as a global innovation hub. Young entrepreneurs continue to play an increasing role in Madisonâ€™s economy, and Capital Entrepreneurs members were again recognized as distinguished young alumni by the Wisconsin Alumni Association on their annual Forward Under 40 list (which featured executives from PerBlue), as well as top young leaders by InBusiness on their annual 40 Under 40 list (which featured executives from Murfie). Capital Entrepreneurs companies were featured in and recognized by prestigious news outlets around the world. They were named as top 100 AngelList companies, top 10 under the radar startups to watch by Mashable, top 10 cloud startups, top 10 video game publishers, top 10 food delivery startups, and called some of the top tech of 2013 by Yahoo. Sector67 took the top spot at the NYC Maker Faire, and Healthfinch won the grand prize at the nationwide Open App Challenge. The citywide Open Data portal launched, and the Underground Food Collective even open sourced the USDA process for charcuterie production via Kickstarter. 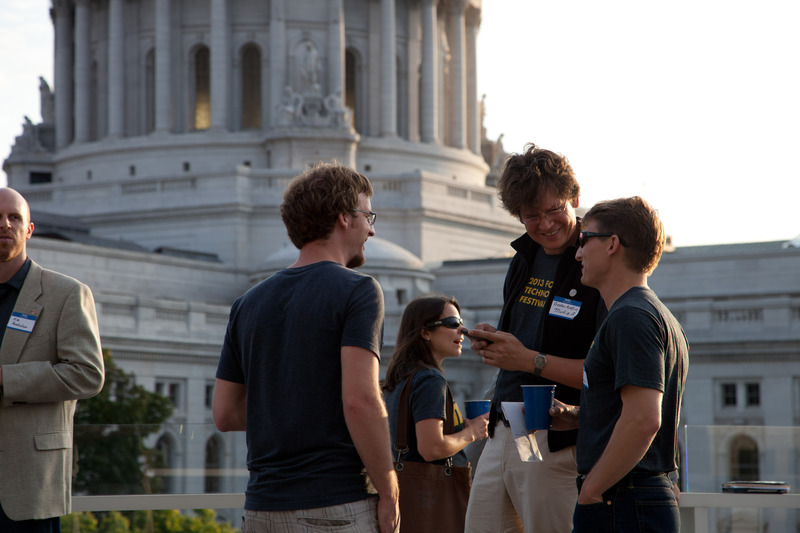 2013 was a great year for the Madison startup community, and there are even more exciting things to come in 2014! Be sure to also check out individual company recaps for 2013 here, as well as past startup scene recaps from 2012, 2011, and 2010. The year of 2013 was an action filled year for PerBlue. Our flagship title Parallel Kingdom saw the release of an entirely new Age. The Age of Ascension was the 5th Age launched for the game and went live in February 2013. It was the first new Age to be released in over 2 years, and was filled with a ton of new content and features. The mobile gaming industry is always rapidly evolving. We began an ambitious new project with a goal to push the limits of mobile gaming on Android and set out to build a full new 3D game engine for Android that would bring PerBlue to the forefront of mobile gaming. Our first title to be released using the engine was Boardtastic Skateboarding, which launched in early 2013 and is still one of the most popular skateboarding games on Android. This was followed in June 2013 with the release of our city defense strategy game Greed for Glory. Greed for Glory has been played by over 2.25 million people from all around the world. It now has our largest active player base and is our highest revenue producing title. Weâ€™ve spent much of the last six months releasing new phases of content for it (including great social features, Kingdoms, and more). The city defense strategy game genre is a rapidly growing one, and weâ€™re proud to say that Greed for Glory is the most successful US based game in the genre. Greed for Glory has ranked among the Top 25 Games in Google Play and continues to grow. Weâ€™re excited for the future of Greed for Glory and our next generation of games. We launched our new PerBlue branding and logo this year, along with our tagline â€œFreedom of Playâ€. PerBlue was named one of the â€œFinest Game Publishersâ€ and was also featured in an Isthmus cover story. Our CEO Justin Beck was a featured on a Mashable live chat, and was also a speaker at top gaming industry conferences including Casual Connect and GDC. Justin and COO Forrest Woolworth were recognized as distinguished young UW alumni by the Wisconsin Alumni Association and received the 2013 Forward Under 40 award (check out the cover!). Justin and Forrest were also named to Madison Magazineâ€™s inaugural M List, which recognizes the top entrepreneurs and technologists in Madison. As a company, 2013 marked our 5 year anniversary. Weâ€™ve sure learned and grown a lot as individuals and as a team over that time. Weâ€™ve seen great times – and not so fun times. Looking back, weâ€™ve really come a long way since the early days, and weâ€™re better positioned than ever before for an even more exciting future! This past year was quite the ride for EatStreet. We started off 2013 strong with our Series A investment led by Cornerstone Angels and Independence Equity, followed by a great TechCrunch article discussing the proud milestone and our plans for our new funds. Sticking true to those plans, we wasted no time utilizing said funds. We kicked off 2013 by launching a new tablet application that makes our restaurantsâ€™ lives a whole lot easier. Instead of limiting ourselves to sending orders to restaurants via email or fax (yes fax), our native Android application allows restaurants to receive and interact with their orders in real-time. Our restaurants weren’t the only ones to receive new toys in 2013. This past summer, we released our fully native iOS and Android apps for EatStreet users. With just under 10,000 downloads between the two, weâ€™ve seen our mobile transaction increase significantly. And our customers are definitely taking notice. We were recently featured as one of the 6 free apps every Madison smartphone needs. But with our aggressive expansion plans, that could soon be a need for every American smartphone. But a great product means nothing unless itâ€™s in the hands of users. Thatâ€™s why in 2013 we focused on a more aggressive nationwide expansion. For perspective, we started 2013 off in 15 markets with roughly 500 restaurants. Today EatStreet is used in over 70 markets nationwide and features more than 2,500 restaurants. But our expansion wonâ€™t stop there. In 2014, we are focused on turning EatStreet into a truly nationwide brand and reach the 10,000 restaurant milestone. Because of these collective successes and hard work, this fall Eric and Matt traveled to Dublin, Ireland to take part in a top 150 startup conference, WebSummit. While in Ireland, our founders represented EatStreet and the Madison startup community. Almost as equally important Eric and Matt learned how to pour the perfect pint at the renowned Guinness factory. Gearing up for 2014, we have closed out the year on a strong note, gaining recognition in the Milwaukee Journal Sentinel for everything from our humble beginnings to our plans for the future. As touched on in the article, we are bringing on an additional 15 full-time employees to handle the new challenges we will inevitably face come 2014. We were also named the number 2 food startup to watch by StrategyEye Digital Media. Without a doubt, 2014 will bring even more exciting news for EatStreet. Make sure to stay tuned by following us on Facebook, Twitter and our blog. First off its technically more of a quarter year in review. 900dpi lets web designers create websites with the tools they already love (like HTML, CSS, and dropbox). 900dpi abstracts away the difficulties in hosting and ftp by using dropbox. Server-side power is built in with functionality like server side includes, form handling, a content management system, and soon blogging; all implemented with a single line of HTML. Aaron Larner, Abby Larner, and Adam Perkins started tossing ideas around for a new startup in July of 2013. Things on the list included entrepreneurial communities, outsourcing marketplaces, and of course what became 900dpi. 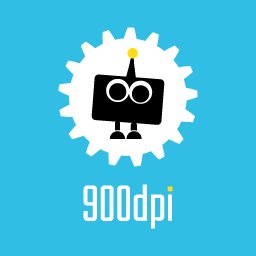 After talking through everything with a couple other entrepreneurial friends (Matt Ford, Isaac Sinnott, and others) the team was most excited about 900dpi. The team started working on the project in September, releasing an Alpha and then private beta in November. The first few months of revisions and refinement were to make sure 900dpi understood its customers, the primary use cases, and the pain points. In December 900dpi continues to work on the product but is also starting to focus on marketing. At this point we have nearly 500 user registrations, most of which came in December. We are excited to be a part of the Madison community and looking forward to seeing what everyone accomplishes in 2014. 2013 represented another year of rapid growth for Networked Insights. Dozens of the worldâ€™s largest brands and advertising spenders joined our client roster during 2013. To accommodate the demand for our technology-enabled marketing services, we expanded our offices in Chicago, New York, Madison, and LA increasing our full-time head count by 42%. On the client front, dozens of brands joined our client roster, spanning the consumer electronics, food and beverage, consumer packaged goods, financial services, media, and entertainment verticals. The vast majority of these brands represent â€œhousehold namesâ€ with products and services that are widely recognized as being leaders in their respective industries. These clients supplemented the work we have continued providing for such well-known brands as Samsung, Revlon, Viacom, MillerCoors, GE, and Proctor & Gamble. From a technology standpoint, a number of enhancements were made to our proprietary technology platform, SocialSense. The improvements gave marketers the ability to easily classify consumers using social data. This gave leading brands more than 22,000 ways to classify the social web, including major marketing categories like age range, location, gender, psychographics, life stage, interests, preferences and more. It was also an excellent year for building strategic partnerships with social media leaders. Networked Insights was one of the first companies to join the Certified Products Program for Automattic, the company behind WordPress. This partnership gave Networked Insights complete access to their immense wealth of data related to consumer conversations, to help brand marketers and CMOs better understand their consumers. Similarly, Twitter included Networked Insights as one of a handful of technology partners. The company highlighted Networked Insightsâ€™ ability to leverage their data to discern audience interests, attributes and engagement, to produce actionable intelligence for brands. We continued to receive recognition across the marketing industry and have become established thought leaders in the space, presenting at prestigious industry gatherings such as Ad:Tech, Advertising Week, TechWeek, and the American Marketing Association. 2013 has been a fast-paced and exciting year for Murfie! We kicked off the year with a move (down the block) to larger, better digs at 7 North Pinckney Street. Ordinarily, moving an office of software developers one block is pretty straightforward, but Murfie had the added challenge of safely moving our valuable inventory. As the year progressed, we rolled out new features that created a major increase in media mentions and our current membersâ€™ activity on the murfie.com site. Most notably, we became the became the first music service to provide lossless streaming (high-quality FLAC format) for our members to listen to their collections on Sonos and VOCO devices. We also became the first major music marketplace to accept Bitcoin, the growing digital currency, as payment. This year weâ€™ve seen a growing amount of international interest in our service (e.g. Canada, Germany, and Australia), and have added PayPal as a payment option to accommodate purchases for those members. Other great feature additions to the site have been our rip-to-hard-drive service, our Wishlist feature with Autobuy, Cool Collections of themed albums in the marketplace, and our Unpurchase feature, which allows members to buy, stream, and return any album within 24 hours. Heading into 2014, Murfie is gearing up to add vinyl records to our service. With the same framework as our CD service, members can send their vinyl records from home to be ripped, downloaded and streamed, and either stored or returned to them. 2014 is looking to be another great year. With 2013 quickly coming to an end, and no work shortage in sight, the staff at Hardin Design & Development wanted to take a moment to review all that weâ€™ve accomplished. For starters, we experienced another year of growth, 16% to be exact, and are excited to have impressive new programmers in the office as well as all of our smarter-than-average student interns. One of the things that makes Hardin Design & Development such a dynamic place to work is our staff. Without their superior talent, teamwork and tenacity, we wouldnâ€™t be the company we are today. 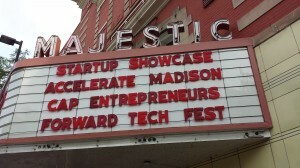 We were thrilled to attend the Badger Startup Summit at this years Forward Tech Festival as well as TEDxMadison. We also had the chance to meet the future members of the tech scene while attending the UW-Madison STEM Fair and CS Career Fair, and having local high school students shadow our developers for the day. As members of the technology and startup community, we are always seeking out avenues to increase the publicâ€™s awareness of the tech scene and to help other Madison startups. Our developers were busy launching websites and delivering mobile applications. Weâ€™ve worked on some exciting project this year, including a mobile applications leveraging augmented reality, a software product focused on residential life management for university campuses, and an application to helps users obtain health insurance. We canâ€™t wait to see what we can get our hands on next, and that our future projects remain as diverse and compelling as we’ve had in the past. As we look towards 2014, we are enthusiastic about whatâ€™s to come. If next year is anything like this year, it will mean mastering new technologies, growing our development team, enhancing our workflows and reinforcing our established partnerships while burgeoning others. Above all, Hardin Design and Development wishes to continue our passion for creating unparalleled mobile and web applications, because at the end of the day, thatâ€™s what we do best. We hit our one-year-in-business mark in October, and weâ€™ve come a long ways in terms of providing news on the startup scene in Madison. 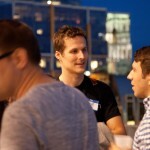 Part of what makes us tick is keeping in tune with the entrepreneurial ecosystem in Madison. This year, we built relationships with groups such as Capital Entrepreneurs, the Center for Technology Commercialization, the Greater Madison Chamber of Commerce, gener8tor and many more. We also garnered support from companies such as American Family Insurance and MG&E, for which we are truly grateful. Madison Startups was the first media outlet to report on stories like StartingBlock Madison, UWâ€™s D2P program, WARFâ€™s Entrepreneurons and UpStart programs and new social media platform Nexttâ€™s launch. Our Twitter account is now followed by other media outlets and reporters, adding to our credibility. We also attended as many events as we could, including the Madison Startup Fair, gener8torâ€™s winter launch, the groundbreaking for FEED Kitchens, the Wisconsin Entrepreneursâ€™ Conference, Horizon Coworkingâ€™s grand opening, Forward Technology Festival and many more. As our way of giving back to the community, we worked all summer with various stakeholders to launch Madworks Coworking at University Research Park. Our editor-in-chief also moderated Madworksâ€™ first event, which featured an interview with entrepreneur Jignesh Patel (who sold his company to Twitter). We enjoyed meeting many of Madisonâ€™s hardworking, ever-optimistic and energetic entrepreneurs, and we hope to continue covering their companies, products and services in 2014. We also hope to add a startup events calendar, a jobs board and enhance our startups database. 32auctions is a bootstrapped startup based in the great city of Madison. We provide an effective cloud based service for anyone wanting to host a silent auction fundraiser. To date, 32auctions has benefited nearly 12,000 causes across the globe, including in the US, Canada, UK, Europe and Australia. We even broke into the top 100,000 global traffic ranking on Alexa. Best of all, weâ€™re very pleased to have helped a large number of causes based right here in Dane County. This year we had over 30 local organizations choose our service for hosting their silent auction fundraiser. These local organizations and their benefactors included United Way of Dane County, Dane Buy Local, Great Lakes Higher Education Corporation, TASC (Total Administrative Services), UW Credit Union, Aldo Leopold Nature Center, Steve Brown Apartments, Wisconsin Women’s Network, Office of Child Care and Family Resources, UW College of Engineering. And for many of these, it was not their first time using 32auctions. This year was monumental for our company. In mid-2013, both co-founders left gainful Fortune 500 employment to work full time on 32auctions. With the extra time and focus, weâ€™ve been able to add a number of highly requested features and further improve our already top notch customer service. A few of the new features include shipping, custom branding, extended bidding, and administrator notes. Early in 2013, we broke into the mobile space by releasing a mobile optimized version of our site for phones. We choose this direction over native or responsive because it best suits the needs of our customers and our business model. Weâ€™ve been very pleased with the positive reaction to our mobile site used by people on the go and those attending a live event fundraiser. 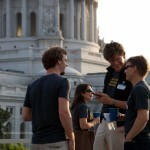 This year we had a lot of fun getting active in the Madison startup community. We joined Capital Entrepreneurs, attended local conferences (Forward Technology Conference, Madison Ruby), and attended local technology meetups (gener8tor, MadJS, Mad-Railers). We also had a lot of fun giving our â€œAlternative Route to Entrepreneurshipâ€ presentation at the MadJS meetup in August. It was very well received and we would love to present it to more groups in 2014. We received some â€œinterestingâ€ mentions in Yahoo! Finance, Huffington Post, VentureBeat, and GeekWire for a startupâ€™s innovative approach to raising capital. The story caught fire and raced through Silicon Valley in just a couple of days. It even led to some unsolicited venture capital attention which we politely declined (you can learn more about that in our presentation). In the end, the story was a concocted hoax by an entrepreneur trying to garner some press, which definitely worked! Our goal when we started 32auctions was to help people raise money for their cause, especially those within our community, by providing an effective tool for fundraising. It has been very fulfilling to see our service benefit thousands of worthy causes across Wisconsin, America and beyond. 2013 has been a terrific year for 32auctions and weâ€™re anticipating continued growth which will positively impact tens of thousands more people in 2014 with funds raised through our service. Nextt is a Madison startup that helps people get out from behind their screens and do more together offline. In contrast to other social networks that focus on sharing the past with a large group of digital followers, Nextt helps users organize their future with their smaller group of friends, making it easy to create, keep, and follow through on actual plans. Founded by Mark McGuire and Emmanuel Buah in November of 2012, Nextt spent the early part of 2013 building the founding team and raising their seed round, which was led by Venture Investors and Great Oaks Venture Capital and closed in June at $750,000. Nextt quickly grew from 3 full-time employees to 8 and moved from the west side into the Machinery Row building downtown. The team hunkered down building and refining prototypes while learning as much as possible from beta users about the best ways to make plans happen. After much iteration, Nextt ended its closed beta and launched publicly on November 14th, snagging press from Forbes, VentureBeat, and The Next Web, among others. Nextt launched as an iOS app in addition to offering desktop and mobile web solutions. Looking to the future, Nextt will kick off 2014 with sights turned to building a native Android app, plus a few more exciting surprises to be announced along the way. Follow along on our blog, Facebook, or Twitter pages and stay tuned! At Noble Applications, we exceeded our expectations for our first full year in business. We are officially bootstrapped, and have been able to turn our focus to responsibly managing rapid growth. Besides exceeding our sales and financial goals for 2013, as a bootstrap startup, we are very proud that we were able to add 5 high-paying technology jobs to the community, growing from 3 employees to 8 employees, while sticking to our tenet of hiring only top talent. We have become a premium design house on top of being a premium development house through our hires. A significant growth vertical has been discovered â€“ providing rapid prototyping services for startups, which gives them the ability to have demo-able prototypes within a defined 3-week process. We re-architected and rebuilt the server infrastructure and administrative and customer web interfaces for OrdrIT, a startup company that allows fans to order concessions from their seats at sporting events. We also rebuilt their native apps for iOS and android, and developed a new, integrated, eHawking app, which provides their customers the ability to bring traditional VIP wait service to their entire venue. We developed some really cool iOS and Android apps for Acoustica. They provide a premium digital audio workstation called Mixcraft, for which our apps turn smart phones into remote controls. We developed a new product, 312Go, which delivers an audio tour of the city of Chicago through a uniquely beautiful and functional user interface. There are a bunch of other startup and enterprise projects that we completed, and we are currently working on a handful of pre-public-knowledge-game changers that we will be able to talk about a year from now. Keep posted and feel free to stop by to check us out! To bring us into 2014, weâ€™ll be looking back at 2013. A lot of great things happened within the Capital Entrepreneurs community and the Madison Startup Scene and weâ€™d like to share them. 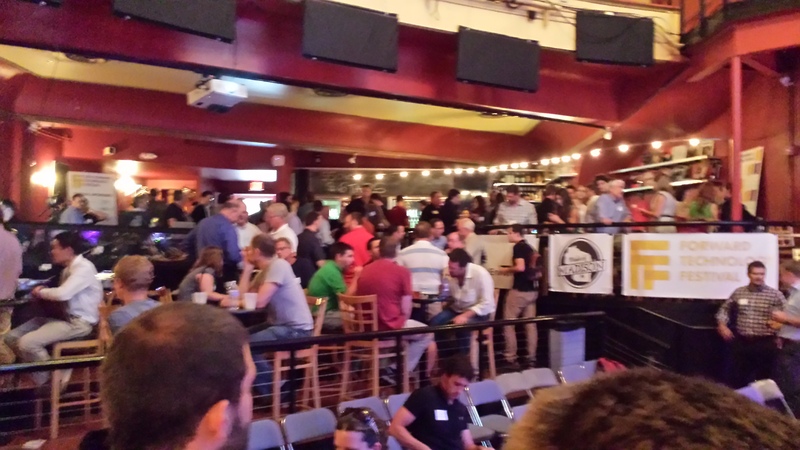 Weâ€™ll be kicking off with a series of posts from Capital Entrepreneurs companies summarizing their year in review, and weâ€™ll cap it off with a full 2013 Madison Startup Scene Recap post. Stay tuned!